College management is very strict sometime it feels like more of school then being in college. CT Institute of Hotel Management is one of the pioneer institutes in Doaba region focused on providing quality education in the hospitality sector. Started in 2004, the institute offers various undergraduate and postgraduate courses in the field of hotel management. Students at CTIHM are encouraged to be involved in the real event management where they apply their classroom learning and concepts in the real world. The institute is fully equipped with the latest infrastructure to cater to the learning needs of aspiring hotel management professionals allowing their potentials to inculcate the essence of cooking and hospitality. Why to Join Facts and Figures of CT Institute of Hotel Management, Jalandhar? Innovative Approach towards learning: The institutes imparts its courses through modern pedagogical methods such as business games, presentations, role plays and simulated exercises apart from traditional lecture mode of teaching to keep academic sessions both exciting and fruitful for students. This also aligns with CTIHMCT’s goal of inculcating practical knowledge along with theoretical frameworks. Such exercises along with frequent interactions with industry stalwarts at events and seminars provide a holistic view o f the course to students. Events & Activities: The institute believes in all round development of its students and the community it serves and hence continuously organizes events and activities related to the Hotel management industry. Bakers’ Day: Live cake making, live pastries making activities at campus bakery, Aryana. 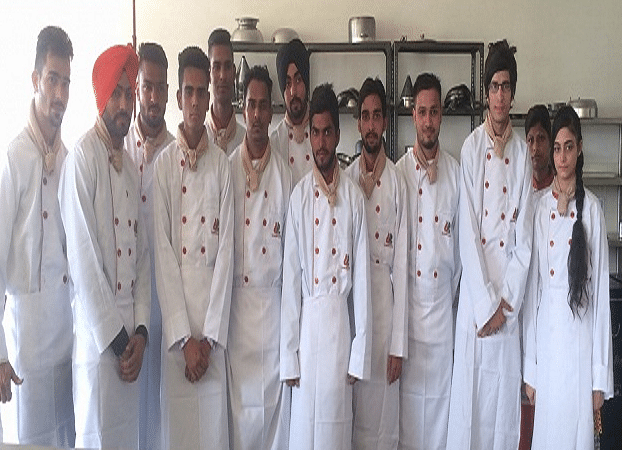 Chef De Jalandhar: Weeklong Regional cooking competition held on campus at Doaba.